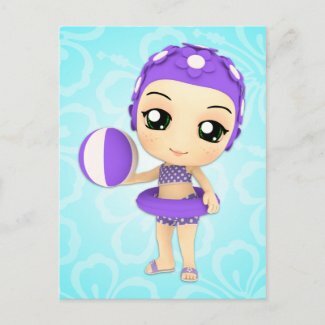 Precious chibi girl ready for a pool party with her swim cap and ball postcard. Even a swim ring to keep her afloat. Great for a girls pool party! 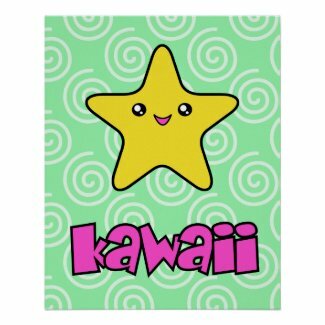 Wonderful chibi postcard. From our friends at MinkiDeluxe! 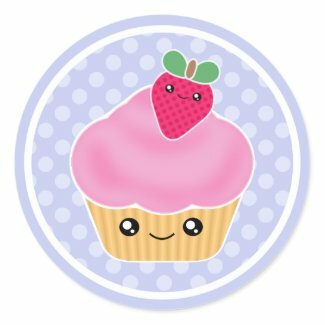 Darling kawaii inspired cotton candy character design with the word Yummy! and Sweet! Personalize with child's name. Too cute!